If you read my blog regularly, you will know that I feel very passionate about mental illness and its link with physical fitness. If this topic interests you, then you can read Let’s talk about depression: Is it Real?, Depression: Positive Thinking, and Exercise is only one part of Total Fitness. My father died whilst suffering from Alzheimer’s. “Dementia: I lost my father, don’t lose yours” was the hardest post I have ever written. So it’s with interest that I have been watching the media following the tragic death of Robin Williams. The increasing number of public figures who are having to apologise for comments they made in the past few days clearly shows the absolute and total ignorance some people have when it comes to depression. There is no excuse, no excuse to make such stupid comments, especially when you are in a position where some misguided people may actually listen to you and take your words for the truth. Rock star Gene Simmons has apologised about his “spur of the moment” remarks about people who suffer from depression. The Kiss singer and bassist sparked outrage after saying he is “the guy who says ‘Jump'” to those who are suicidal. He is quoted as also saying that his advice was that if you are depressed you should “kill yourself”. Robin Williams’ daughter Zelda has quit Twitter following the abuse she got from followers. People were telling her that her Dad was selfish and a coward to kill himself. Fox News TV anchor Shepard Smith sparked criticism after also suggesting the actor was a “coward” to kill himself. Meanwhile TalkSport in the UK has apologised after its radio presenter Alan Brazil said he had “no sympathy” for suicide. All of these people have now apologised of course, no doubt worried about their ratings and future job prospects, but I have little doubt that their first words were the true way they feel about depression. And that worries and scares me in equal measures. Make no mistake, anyone who thinks that Robin Williams is a coward or that he is selfish, or that suicidal people should “jump”, have a serious problem. These people should go educate themselves about depression and think before they make totally ignorant statements. I am serious. If there is even 10% of your mind that when reading this is thinking “they should pull themselves together” then please read my blog articles above and then go educate yourself because you are misinformed. In my blog today I want to ask you to share your opinions and experience with clients who suffer from depression. Many distinguished Pilates teachers say that Pilates can help people suffering from depression. Pilates without doubt helps to relax the mind and energise the body, gives body awareness, can improve self-image and has meditative qualities if taught in the correct way. I found meditation after my own personal experience with depression, and this is why I travelled to Bangkok to study meditation in a Buddhist monastery. This is also why in my Pilates system Pilates EVO, I integrated mindfulness meditation. When I am travelling the world to train new Pilates EVO teachers, this is one of my favourite parts of the education because most teachers have little or no experience of meditation, and at first some find the whole concept very difficult to grasp. Meditation is becoming more and more acceptable and proven in Western medicine as a treatment for depression. There are many books on the market, but one of my favourites is The Mindful Way Through Depression. Click on the picture below to read more. 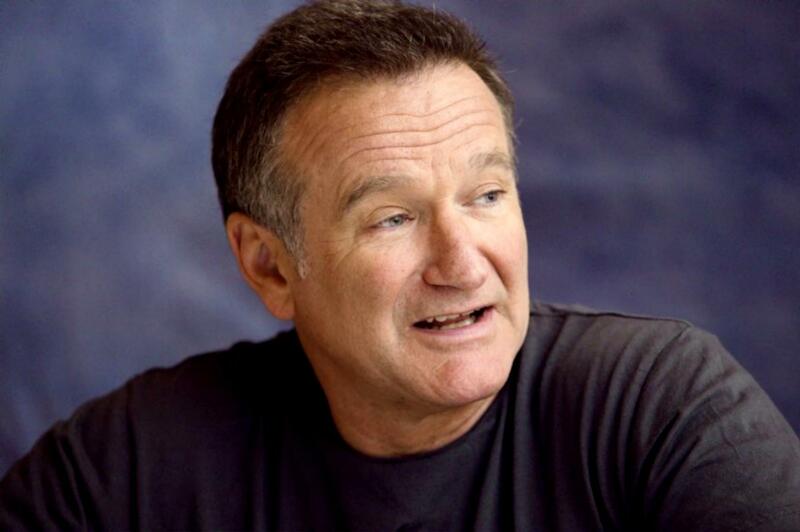 Thank you Robin Williams for all the joy you bought into this world. You will be missed. I hope that your torment will continue to bring the debate about depression to a wider audience, and I hope that more and more people will gain a greater understanding.